Everybody loves fairy tales, and anybody who loves fairy tales cannot possibly not like pixies. Those small little creatures always squeaking around looking to do something mischievous. Pixies are fun. 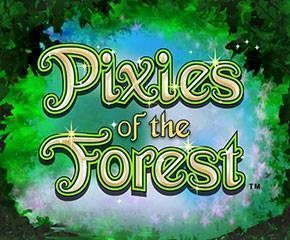 You got to give that to them and hopefully, Pixies of the forest by IGT is fun as well. International Game Technology or IGT is a leading slot game developer known widely for developing cult classics such as 100K Pyramid. 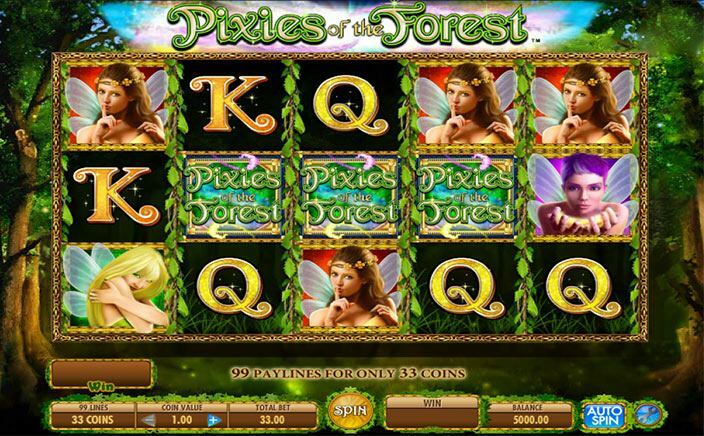 Pixies of the forest has 5 reels and 99 paylines. You get to play this game from 33p per spin to 990£ per spin. Now that is a wide waging option. This is something that a lot of players would wish more UK slots employed. The game has a slightly high volatility rating but the payouts compensate for it. Because when this game pays, it pays huge. Then there are the bonus features. Pixies of the forest has 3 in total. Out of the 3, the tumbling reels feature is what makes this game stand out among the other slots out there. Yes, some other slots do have the same feature but they are very few in number. The is a lot different from the normal reels. Here, the symbols fall down from above after every win to replace the winning symbols which disappear. This could potentially lead to you winning continuously as the symbols keep tumbling down. The other bonus features are a bit more generic. The wild symbol appears on the reels 2,3 and 4. It acts as a replacement for all the other symbols except the scatter symbols. The free spins feature in Pixies of the forest is triggered by landing 3 symbols on the reels. If you manage to do that you are asked to press the ‘Choose’ icon. This determines the number of free spins that you are about to get. It may be anywhere between 6-11. This may seem like less but you get to win on almost every other spin during this feature. IGT sure have created a winner with Pixies of the forest. It is one of those slot games that have a certain charm to it and makes you want to come back for more and more. So, just get online and start spinning. You are in for a wonderful time at the slots.